This list is incomplete- more speakers will be added to it in due course. 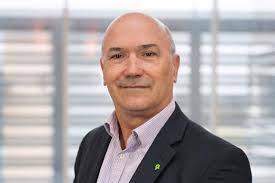 Mark Goldring, now chief executive of Oxfam GB, has decades of experience in international development. He was chief executive of VSO; and worked in the field for the United Nations Development Programme, the UK’s Department for International Development (DFID) and Oxfam too - as Bangladesh country director in the 90s. Before joining Oxfam, he was chief executive of Mencap for 5 years. Goldring read law at Oxford and has a Masters in social planning, from the London School of Economics. His considerable services to tackling poverty and disadvantage were recognised in 2008 with a CBE. Peter McDermott is a Consultant Oral & Maxillofacial Surgeon who practices in North London. He retired last year from the NHS after nearly 40 years of service, but continues to work in the independent sector and remains actively involved with Mercy Ships. His association with the charity began in 1996 when he was asked by a fellow American Maxillofacial Surgeon who was resident on board the ship in Madagascar, to help with the overwhelming need for surgical treatments. He spent 3 weeks on board the hospital-ship,carrying out surgeries which challenged him both in the complexity and intensity of the cases. The impact of that initial trip was so life changing that he has since been on 14 separate annual outreaches over the following 18 years. His experiences gained from these field trips have been invaluable to his broader surgical practice in the UK. The plight and desperation of millions of people across Sub Saharan Africa and beyond, who have no access to healthcare in any form, is one of many compelling reasons why he continues to support this extraordinary charity. To bring contemporary medical care and surgical skills learned in the UK to the developing world and be dispensed in a modern and safe clinical environment is his way of "giving something back" to mankind for all the advantages we enjoy in the developed world. Rob, a graduate of Cambridge University and Harvard MBA, founded AMF in 2004. AMF is now the top ranked global NGO at independent ranking organizations in the US, UK and Australia. Rob started his career in strategy consulting for the firm Monitor Company, based in their Milan office. After studying in the US, Rob returned to the UK as commercial director and equity partner of a proprietary trade show business, helping to steer the company to ten-fold growth over four years. He moved to become Global Operations Director of one of the world’s largest financial publishers before being appointed divisional Managing Director of their global electronic businesses. Rob was inspired to found AMF by a previous charity effort, a three person fundraising swim for a 90%-burns victim, which developed into 150 swims in 75 countries involving 10,000 people and raised sufficient funds to secure the child’s future permanently. He then scaled this model, starting AMF with a worldwide swim which grew to involve 250,000 people in 130 countries across the globe. AMF has now provided anti-mosquito bed nets in 35 countries, using technology, rigorous processes and clear accountability to ensure aid is delivered effectively. Fluent in Italian and French, Rob lives in London, England with his wife Catherine and their four children. He has a passion to help those who are vulnerable and at risk and to do so with business accountability. Malaria is first on his list. Kate Larsen MSc works on supply chain human rights (including modern slavery remediation) and environmental sustainability in and with leading corporations and NGOs, in Business for the Unseen (www.bftu.org) with leading anti-slavery charity Unseen. 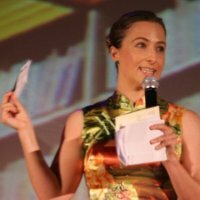 Kate is a mandarin Chinese speaker who worked in China in 1999 and 2000 establishing a non-profit, then 2004 as a Senior Consultant in the social consulting practise of Environmental Resources Management. In 2006 she became the first Corporate Social Responsibility (CSR) Manager Asia for Burberry Plc. Kate worked with NGOs for establishment of Handshake-INNO China, on projects of GCA (Green Choice Alliance), as a participant in the Ethical Trading Initiative China, and with Fair Labor Assoc assessors and quasi-NGOs such as TaosNetwork, etc. In recent years Kate has consulted to a leading US retailer and other brands on worker rights China, Cambodia, Bangladesh and other Asia and global sourcing, and helped the World Bank engage NGOs (primarily Bangladesh), etc on women’s empowerment in the garment sector. From late 2015 to April 2016 Kate delivered a project for Human Rights Watch to further their garment sector efforts for worker rights, particular re in Bangladesh, Cambodia and China. Since late 2012 Kate has worked on an ethical fashion project supporting a Cambodian HIV community (www.suaveco.uk). Kate is a Trustee for UK Charity The Rights Practise, and advisor to Lensational. Quintin works with companies to address modern slavery and build ethical supply chains. He is a research fellow at the Ashridge Centre for Business and Sustainability at Hult International Business School, where he is leading studies into corporate approaches to address modern slavery, and is a director at Fifty Eight. Quintin left school aged 15 to found one of New Zealand’s fastest growing tech firms – and he brings a strong cross-cultural perspective from his work in Europe, Asia and the Pacific in community development. MBA qualified, he has consults with companies in a range of sectors on CSR, sustainability and ethical trade. Luke is a strong believer in the positive role business can have in global development whilst proactively protecting and respecting human rights. He reached this conclusion whilst working towards his MA in Law at SOAS, where he specialised in international economic law and human rights. This eventually led him to Impactt, an ethical trade consultancy that understands the needs and challenges of workers and businesses. All of Impactt’s projects focus on making what’s good for workers work for business. Before joining Impactt, Luke worked for the Natural Resource Governance Institute in Ghana. There he worked with parliamentarians to help them develop the country’s natural resources in a responsible and transparent way. Luke has also worked at Business & Human Rights Resource Centre and IPIECA. Outside of work, Luke is the founder a student-advocacy organisation (Banyan: SOAS Advocates), which links up students with short-term goal-driven research opportunities outside of university. I supported the development of different initiatives, funds and companies in emerging economic regions. Today, I focus on developing concepts that have the ability to function in a financially self-sustainable way together with partners in politics, economics and social sciences. Most concepts are impact investing cases that are presented to funds, angel investors and corporate investors after a first period of growth in financial return and measurable impact has been achieved. Currently, my activities revolve largely around the phenomenon of mass migration, as mass migration is a systemic challenge that will greatly influence our lives throughout the coming years. To provide a physical space for the different initiatives to work together in and enable the scaling of effects of projects more efficiently, we are currently setting up Migration Hubs across Europe. Migration Hubs are free co-working spaces that can be used by initiators who develop innovative solutions to tackle the challenges of mass migration. We are trying to form an ecosystem to make the flow of synergies more effective and efficient, and to enable cooperation across different sectors and regions. The efforts of myself, my Co-Founder Katharina Dermühl and out team are centered in a foundation with the name ‘Over Borders’ that is currently being set up. John Rendel is the Founder and CEO of PEAS, a rapidly growing and multiple award winning social enterprise that widens access to secondary education in Africa. John studied Philosophy, Politics and Economics at New College, Oxford where he was picked out as a FreshMinds “One to Watch”. A trip during a university vacation to East Africa led John to found a low-fee, not-for-profit secondary school in Uganda. The success of that school led to the development of PEAS’s “SmartAid” approach. After graduating, John joined the Teach First program and taught secondary-school mathematics in Camberwell, London for two years. In the summer of 2006, he left the classroom and began working full time on “growing PEAS”. John has gone on to win the Teach First Ambassador Award, an UnLtd Social Enterprise Award, and to become a member of the Courvoisier Future 500 and the Rockefeller Top One Hundred Next Century Innovators. In 2013, PEAS won the UK Charity Awards and the WISE Global Innovation Awards. The charity now educates 1 percent of all secondary school students in Uganda and is negotiating ground breaking public private partnerships with the governments of Uganda and Zambia. Dan has worked in international development and humanitarian assistance for 20 years. He has worked for NGOs including Save the Children and Christian Aid, as well as for the OSCE. He has lived and worked for several years in East Africa and South East Asia, most recently in Myanmar. He joined War Child as the Director of Programmes in 2014 and now lives closer to home in North London. Dan is also currently the Chair of the START Fund Committee. John Collenette is chair of trustees of ACE Africa (UK). After a career in the commercial sector, John studied for an MSc in Development Studies and Social Anthropology at Birkbeck College, London and wrote his dissertation on anti-corruption NGOs. Ginny joined Young Lives in January 2011 as Deputy Director. She has a PhD in Social and Political Sciences and BA (Hons) in Oriental Studies (Hindi and Indian Studies) and Social Anthropology from the University of Cambridge. Her research focuses on children’s work, sociological approaches to the study of childhood and children’s rights, the ethics of social research with children, children’s understandings of family, and children and ‘social capital’. She has published extensively, and has been a member of numerous Advisory Groups and Research Ethics Committees. She has been co-editor of Childhood: A Journal of Global Child Research since 2006. Arathi is a University Lecturer in Sociology of Education at the University of Cambridge. She is the author of the 2012 book Pedagogies of Development which examines the introduction of child-centred education in rural India. 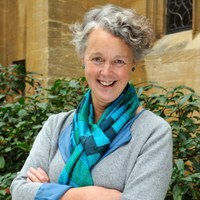 She co-edited with Lucy Hopkins the 2015 book The ‘Poor Child’ which explores the cultural politics of childhoods and global poverty. Ade Thomas founded Green.TV in 2006, in partnership with the United Nations Environment Programme, after a career in sustainable programme making that stretches back two decades. Under Ade’s leadership, Green.TV has emerged as the leading global sustainability content creator and broadcaster with an extensive distribution network made up of many of the world’s most prominent digital media and technology hardware partners. Prior to launch, Ade founded the creative digital agency Large Blue, named after the butterfly, which specialised in sustainability content in the digital space. Ade is a former environment journalist with the BBC, where he worked on programmes such as BBC radio’s flagship environment series, Costing the Earth, BBC TV’s primetime rural affairs series, Countryfile, BBC 1’s The Holiday Programme and the award nominated BBC 2 documentary, They Think It’s All Islam. He also worked for World Television which produced programmes for a range of international NGOs for distribution by the joint venture Reuters World Alert. Ade graduated from Cambridge University in the early 90s, where he was an early student of climate change. He then went on to help BBC Newsnight presenter Jeremy Paxman research his best-selling book The English. Alexander Woollcombe (Policy and External Relations Officer, Bill and Melinda Gates Foundation) Alexander Woollcombe leads the Bill & Melinda Gates Foundation's Strategic Partnerships and Global Campaigns team with responsibility for EU and Australian Government Relations. Based in London he has previously led the Foundation’s UK Government Relations, and prior to that served as Bono’s ONE Campaign’s UK, and then EU Director. Zander has worked for Oxfam in Ethiopia, Senegal and Brussels on policy, advocacy, campaigns and communications. He also worked for the Conservative Party, the European Parliament and Peace Child International in Sierra Leone, Morocco, Brussels, India and Peru. Zander holds an MA degree in History from the University of Edinburgh. Fiona works to improve the impact UK lined businesses have on vulnerable farmers, workers and communities in developing countries. This includes work on legal remedies, supply chains, company law, competition policy, social reporting and investment. She is a director of the Corporate Responsibility (CORE) coalition, represents the European Fair Trade Advocacy Office at the High Level Forum for a Better Functioning Food Supply Chain, is a member of the UK’s Grocery Market Action Group (which advocated for a UK Supermarket Adjudicator), was a member of the Stakeholder Oversight Group for London Olympics Sustainable Sourcing Code’s Grievance mechanism, and acted as an elected NGO board member for the Ethical Trading Initiative which promotes good labour rights in supply chains. She regularly works with Traidcraft’s partners in developing countries to improve the impact of international supply chains. Previously she project managed Just Pensions Initiative and directed the Responsible Purchasing Initiative. Outside of the UK she has worked in Bangladesh, Belgium, Cambodia, China, India, Japan, Kenya, Malawi, Tanzania, and Vietnam. Fiona has undertaken work prior to Traidcraft for Casella Stanger, Thames Water, Anita Pollack MEP, Jupiter Asset Management and BBC Radio 4.